2014 is barely begun. Outside my window a winter freeze is blustering with a fury, and I am hunkered down with a tea and a lit candle gently glowing. One boys is playing in the snow, 2 boys are are reading hoping to have some time on the xbox later… and the baby is napping- for a brief moment it is quiet here. My heart is not completely quiet though. Maybe this year, I’ll finally lose the weight that has haunted me since 1999. Maybe this year, I’ll get the chaos of pictures under control in the office. Maybe this year, I’ll memorize something grand like the book of Romans, or a passage from the Odyssey or from Othello. This I know, I cannot fulfill this list on my own. Impossible. But this I know more, GRACE. The sufficiency of that five letter word, is so simple, it overtakes everything you put in it’s path. I have decided to pick a word for this year, to sum up what lies ahead…the great unknown. Perhaps some faith is required. So I can only get to it, by going through GRACE first. I am so used to having to say no… no to my kids, no to myself, no, no, no. …and I felt something shift inside me… the road less traveled was whispering my name. The one who said YES to the cross in my place, is whispering my name at every corner. and by grace…my answer is YES. All such nice, meaningful names…inspiring…beautiful. What?! I checked and re-checked. Nope. That was it. Hebrew…or Russian depending on spelling. No matter how I looked at it, it did nothing for me. I could think of nothing good about it except that they grew in far away places…I closed the book, disappointed. Fast forward about 5 years, the teen years. I was a “deep” kid, spent a lot of time reading, studying history and language, symbolism and metaphors… a thinker. When the big questions started coming, I had a hard time finding myself. What am I going to do with my life? Do I go to college/ university? Where? Missions? Where? With what organization? Who am I? What do I do with my life? What does God want? The answers eluded me…and I felt like I was swimming in a sea of confusion and darkness. Then one weekend I was checking out a college with my mom and I was sitting in our hotel room flicking stations on the TV… this television evangelist who I’d only heard of but never met was speaking, normally I would have flicked past, but something he said caught my attention. He then proceeded to talk about the Palm Tree believer…goosebumps. Basically in ten minutes I had all the answers I needed…it was one of those crazy all consuming moments when your world stops, you wonder if you are even breathing. It was a definite AHA moment. God used that guy to show me who I was in Christ, and that if I am planted in Christ, it doesn’t matter what storms may come (and they will…and they have) – I will survive and thrive. That my peace and future and fruitfulness was in Him. More than that, God used something as simple as the meaning of my name – Palm Tree – to turn it around for my good, and to reach me in a dark place, and show me a better way. 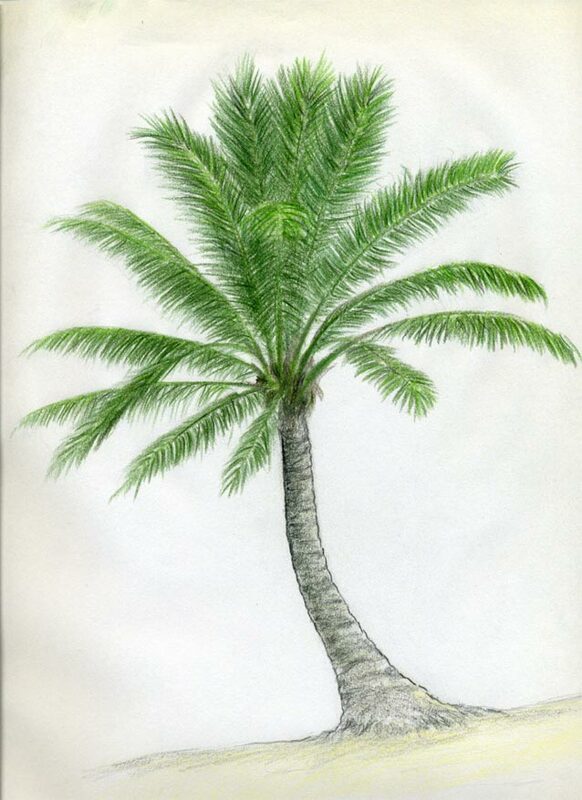 PART TWO – if you are interested, come back tomorrow… I’ll post the Palm Tree Christian and why it’s so meaningful to me, and why it’s lead me to study all trees and their significance to us. Thanks for reading. What’s your name mean? Any other “trees” out there? 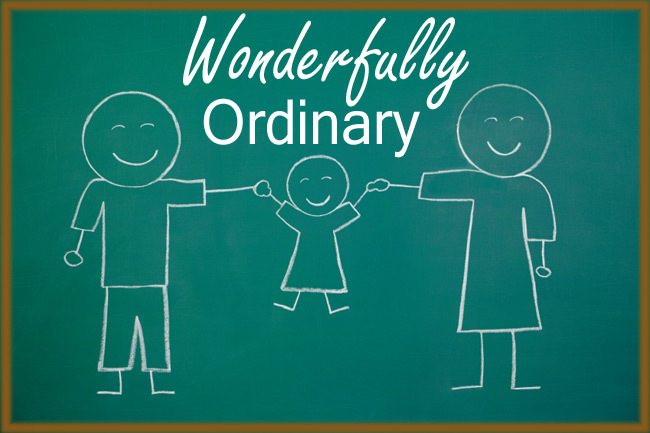 I’ve had a fear of being “ordinary” for as long as I can remember. It’s driven me to try to accomplish something, to “be” someone, to leave a legacy that is…special. I haven’t wanted to be “just like everyone else”… and lately, as in the last few years, I’ve had to examine this drive. This sense of inadequacy and where it comes from. I think I’ve even tried to find ‘significance’ in my relationships with underlying motives of becoming significantly “wise”… what’s wrong with that you ask. Pretty sure that pretty much everything is wrong with that. I am a person, and the people in my life are significant because we are HERE. We all matter to someone. We all matter to God. I don’t want anyone to think that I’ve developed some kind of psychological imbalance or spiritual deficit because I haven’t. I think I’ve just come to a place where I’ve realized that it’s not necessary for me to stand out from the crowd to be significant. I am no more or less significant than any other person…I am ordinary. 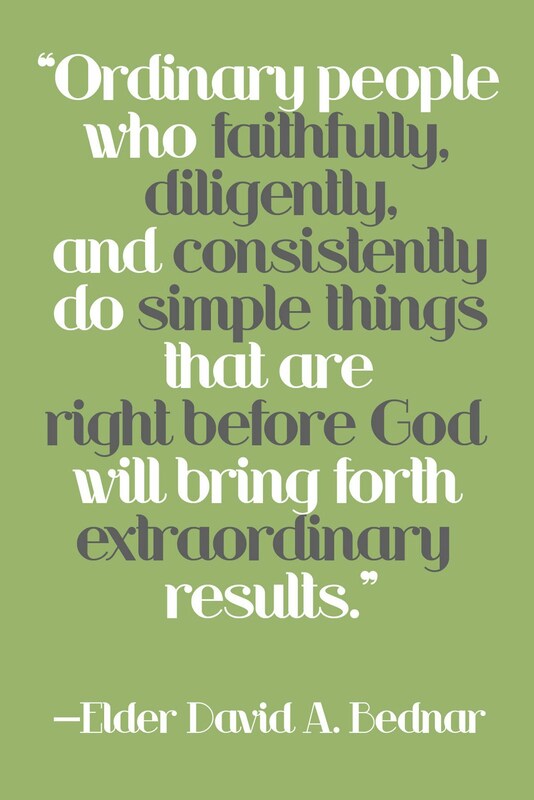 Ordinary is not insignificant. I matter to Him, but more than that, I’m not the only one that matters to Him. Yes I am beloved…highly favoured and blessed…but I don’t deserve it any more than the next person…none of us deserve His love, His forgiveness and grace…Yet He loves us anyways. We matter to him. I’ve been very comfortable focusing on thinking about my place in the world, my place in history, the things I feel and think… without honestly giving a whole lot of thought to the fact that others maybe live like that too. I haven’t really thought about the role that others have might have NOTHING to do with ME. Thinking in that small minded way that everything happening around me, is about me. Crazy I know… I think I’ve been a slow learner at this… or maybe just an ordinary learner – lol. I sat in my usual spot. I saw him coming down the bus aisle. Pants hanging way past his waist. I put my purse down on the chair beside me. Closed my eyes and leaned against the window. He looked down at my purse and motioned me to move it. “Fine” I thought to myself. As I wondered why God had ignored my previous request. He smelled like a mixture of drugs and alcohol. I rolled up my sweatshirt and tried to ignore the smell. I was feeling pretty sorry myself. And wondering what I did to deserve this kick off to my Thanksgiving weekend. I look over and noticed him texting someone. Whoosh…I could feel Jesus reminding me of where I use to be. I started to take in this stranger beside me. His shoes were falling apart. The back pack on his lap was held together with duct tape. It was then that I noticed. There written with something sharp. I know what it feels. “Are you ok” he asked. His eyes welled with tears. I gave him my cell number. I got off at my stop. And thanked Jesus for my new friend. Thankful that He who created me. Sometimes says “No” to my selfish requests. And that’s a great thought to kick off my Thanksgiving weekend. It really is a great way to kick off the weekend! Linking up here. Happy Thanksgiving Everyone (in Canada)! It’s a day for reflection for most of North America. Much gratitude is in my heart today as I remember and give value to the lives of those who were lost in and because of 9/11. Ten years ago I was at work in a Bible College. I had just finished leading the students in worship and prayer. I watched the horror and tragedy of the second tower on live feed in someone’s office. What would this mean for us in Canada, especially those like us who live on the NY border? Will there be war? Who would do this? Are we a target in Niagara? We rallied the students to pray, we spent much time together and in prayer and in the few offices with TVs. It was an uncertain time for many… and then gradually, life moved on. Ten years ago I didn’t have kids. We’d just had our second miscarriage after years of trying to get pregnant. I worked a lot, I spent most of my time with my students. I loved my job. I loved my church. I loved my life. A year later, my father in law moved in with us. A year later, I was pregnant – this time it stuck. A year later I had a son. Then my sister got married and had a son. Then I went back to work. I wish I hadn’t. Then I had another boy. Then I went back to work. Too soon. I wish I hadn’t. Another sister got married. And the one with a boy, had a girl. Then my father in law passed away. Then my dad was diagnosed. And I had another boy. Then I went back to work. I really wish I hadn’t. But I did and God is faithful. Then my dad passed away. And then a 2nd sister had a boy. Then my mom moved to Niagara. Then we bought a business and it didn’t work out. My hubby was blessed with a new position in his work. Then more babies were born to the sisters and I was finished working. And Here we are at today again. We are truly blessed. Ten years ago, we didn’t have a lot of the things we have today. and yet today we have little people who were not here then. The Hope that we had then, is stronger today. The Faith we had then, is stronger today. The Love we had then, is stronger today. Because of the trials, the work, the heartache and loss. Our lives have been seasoned. We have continued to live. strI think I’m stuck. Stuck in a funk. It’s burning out my creativity and slowing trying to eat away at any general optimism and zest for life. I’ve noticed that lately I’m reading a lot. And I mean a lot – literally a book a day – mostly fiction – which is a bad sign, it means that I’m trying to escape something, that I’ve been avoiding being alone with myself. Which is odd, because for months I’ve LONGED for alone time. But having 3 small children and a husband working crazy hours prevented that from happening. So all the things that I should’ve been thiking about and “working through” did not get thought about or worked through. So here I am, as the song goes – “stuck in a moment” – where I am unable to move forward – so I’ve decided to blog as much of it out as i can. I’ve got this project I’ve been mulling over for more than 2 years now – it’s a book, that I know I need to write – but as I’ve attemped to free it from the quagmire in my soul – I realize that I must deal with the quagmire first-then free the book. Knowing that I’m probably either just shy of peri-menopause and/or just plain off, balance horomonally due to three successive pregnancies – all of this could just tbe the rantings resulting from the off kilter place i find myself in and once i resume taking my supplements, and then I’ll feel better. But I have that deeper knowing, that i’m on to something bigger here. Secondly, I’ve noticed I don’t like how i’ve been talking lately – too aggressive. Fourth – I’m tired, tired of juggling home, work, a business and all the rest. i liked it so much back when I wasn’t juggling so much, I’ve been dropping alot of balls lately, and yeah – i’m tired of it – and the thought that there’s no end in sight – is killing me. is – July 26th – and all I can say is ouch. We resent what He (jesus) reveals in our hearts. Either Jesus Christ is the supreme authority of the human heart, or He is not worth paying any attention to. Am I prepared to trust the penetration of His Word into my heart, or would I prefer to trust my own “innocent ignorance”? If i will take an honest look at myself becoming fully aware of my so-called innocence and put it to the test, I am very likely to have a rude awakening that what jesus christ said is true, and i will be appalled at the possibilities for evil within me. But as long a remain under the false security of my own “innocence”, I am living in a fool’s paradise….when i am open and completely exposed before God, i find that Jesus Christ is right in His diagnosis of me. The only thing that truly provides protection is the redemption of Jesus Christ. If I will simply hand myself over to Him, i will never have to experience the terrible possibilities that lie within my heart. Purity is something far too deep for me to arrive at naturally. but when the Holy Spirit comes into me, He brings into the center of my personal life the very Spirit that was exhibitied in the life of Jesus Christ, namely, the Holy Spirit, which is absolute, unblemished purity. i take a big deep breath…and throw myself into the arms of Jesus, the arms of grace.